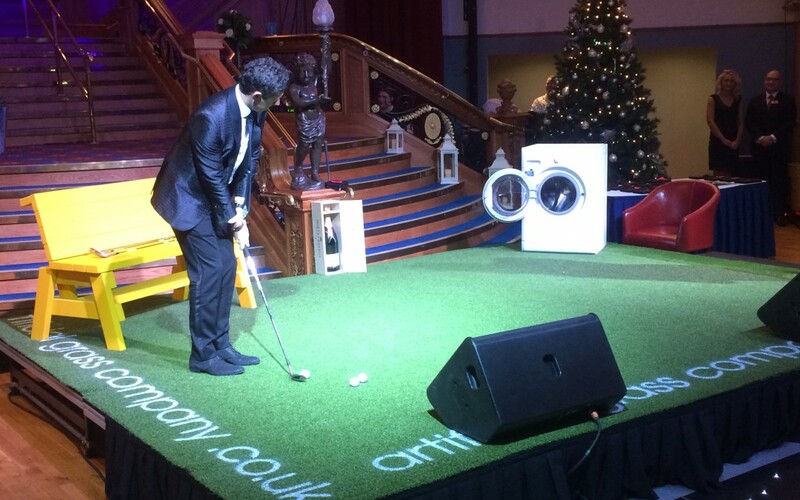 Golf superstar Rory McIlroy was the main attraction at the recent Paddy Wallace Fund for Autism ball at the Titanic Centre, Belfast. The fund has been set up by former Ireland and Ulster rugby star Paddy Wallace and his wife, Tina. It aims to raise awareness of autism and support families and children who have been diagnosed on the autistic spectrum. 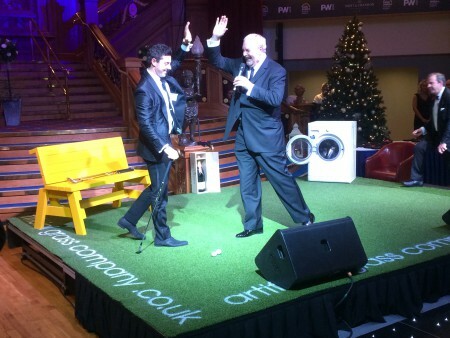 The Artificial Grass Company were proud to support the event by supplying the grass for the “chip ‘n’ ding” contest. 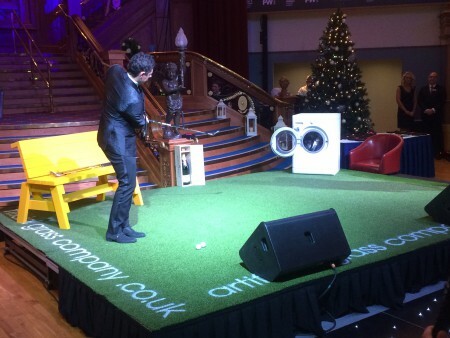 Back in 1999 the then nine-year-old Rory McIlroy appeared on UTV’s Kelly Show where he demonstrated his skills by chipping golf balls into a washing machine. 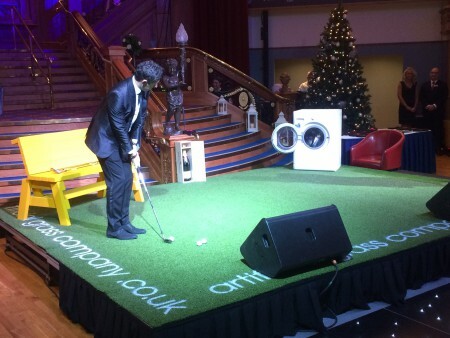 He was challenged to repeat his childhood success and chip into the washing machine and in the process raise money for the this good cause. On his first attempt the ball ‘dinged’ off the washing machine. A host of Northern Ireland stars came out to support the event, including rugby’s Tommy Bowe, Stephen Ferris and Darren Cave, and also Northern Ireland football manager Michael O’Neill, Tyrone GAA boss Mickey Harte, and actor James Nesbitt. The Artificial Grass Company are the No. 1 installers of artificial grass putting greens in Ireland. We pride ourselves in supplying and installing professional standard, bespoke practice areas.